Go native like the seafaring Tagbanua, paddling your own kayak at your own pace but with the assurance of a high degree of professional organization and support that leaves little to guess work. 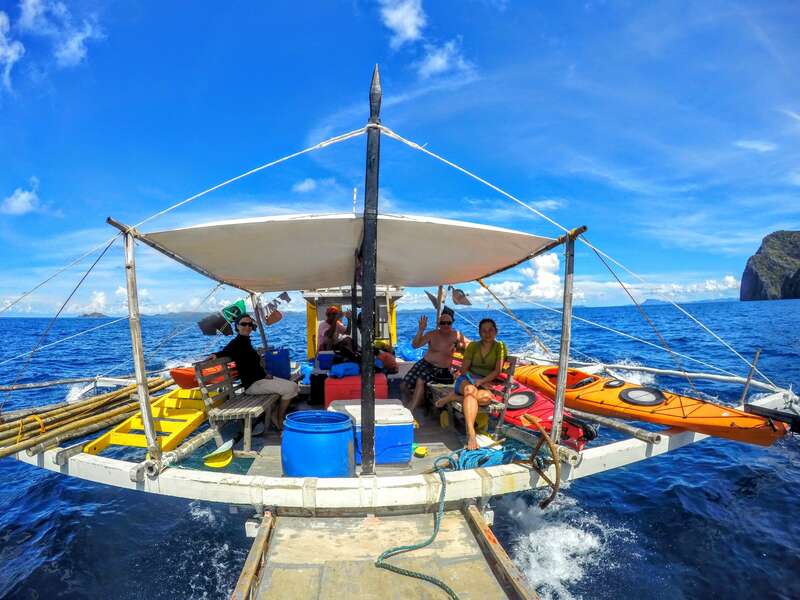 Tap your Robinson Crusoe instincts and do what the Tagbanua of the Calamian Islands in the Western Philippines have been doing for centuries: paddle a tropical sea paradise described by the late Jacques Cousteau as “the last frontier”. The Calamianes number some 220 islands and all of them are accessible by kayak if you have a year to spare. If you don’t, Tribal Adventures can condense 12 months into 12 days or less and provide the ultimate paddling experience. 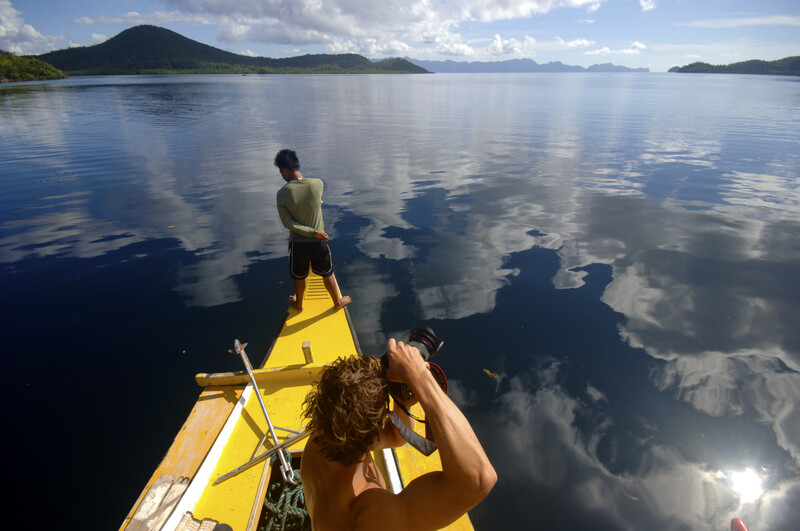 As you paddle from island to island in small groups (or even on your own with a knowledgeable guide), staying in budget tented camps, you’ll be emulating the ‘tread lightly’ approach of the Tagbanua and sending a strong message endorsing low-impact interaction with a ‘last frontier’ environment. 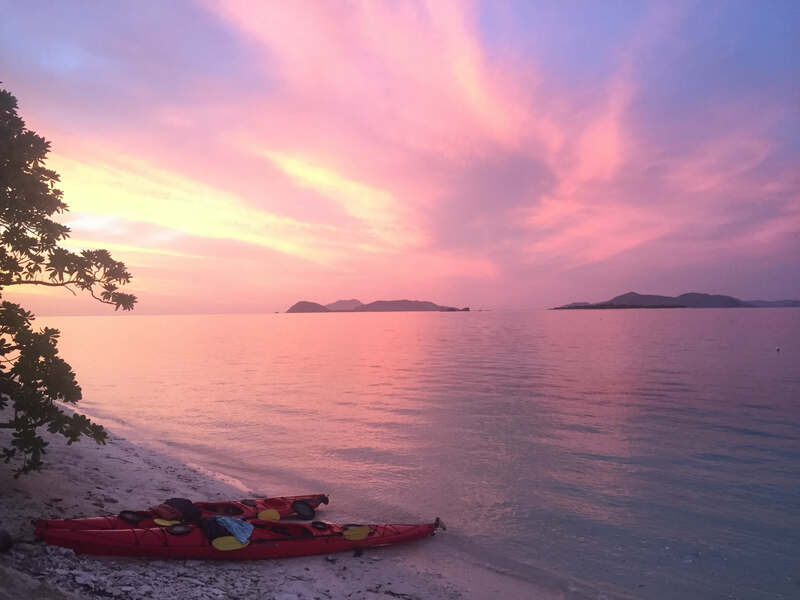 You will experience spectacular tropical wilderness scenery, perfect paddling conditions, exhilarating snorkeling, wild primary rainforest, and golden, empty beaches. Besides kayaking and snorkeling to your heart’s delight, you’ll visit Coron Island, spiritual hub of the local Tagbanua people, who gather swallows’ nests from the island’s limestone caves. Below is a sample itinerary starting out of Palawan SandCastles in Northern Busuanga and ending in Coron Town, and can be done in reverse. All expeditions can be custom fit to your travel time, adventure and comfort level, and interests. Aiport pick-up, followed by a transfer to Palawan SandCastles to start your adventure. You board a local banca (motor boat) to head to New Quezon, the jump off point to paddle the mangrove estuary that separates Calauit Island from mainland Busuanga. 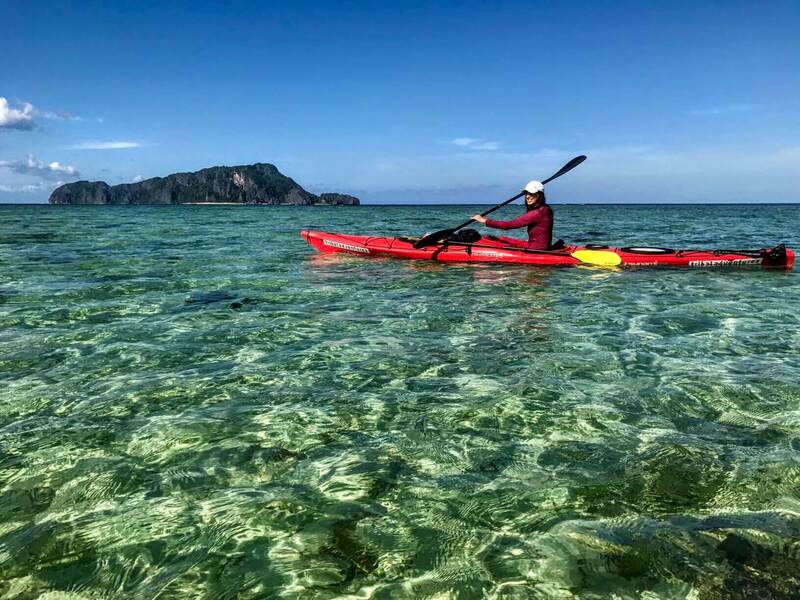 Past the estuary, you will paddle islets, snorkel a reef and end the day by setting up camp on Black Island, one of the three limestone giants of Northern Palawan. 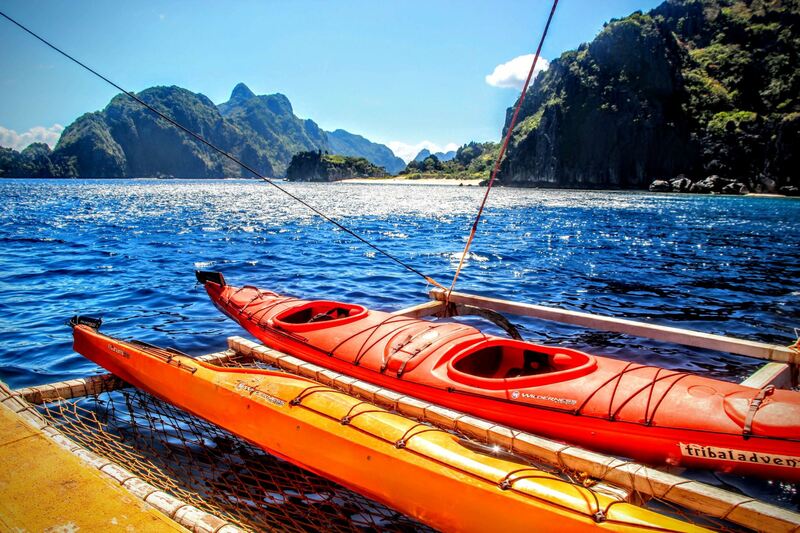 Cruise to the mouth of Busuanga River, where you will paddle upstream, keeping an eye out for wildlife. You'll encounter simple local life along the river banks and see how the fishing villages thrive in the area. We paddle back to board the boat and cruise to the next campsite, Pamalican Island. Wake up to snorkel the reef just off the campsite, before continuing to Calumbuyan Island, a reef with a slight current, where snorklers can drift from one end of the island to the other, watching the reef below them. Last stop for the day is either Lusong Coral Garden or Lusong Gunboat, before heading to Coron Town to end the tour. Unsupported with the provision of sea kayak, life vest, paddle, skirt & guide, but NOT including park entrance & camping fees. 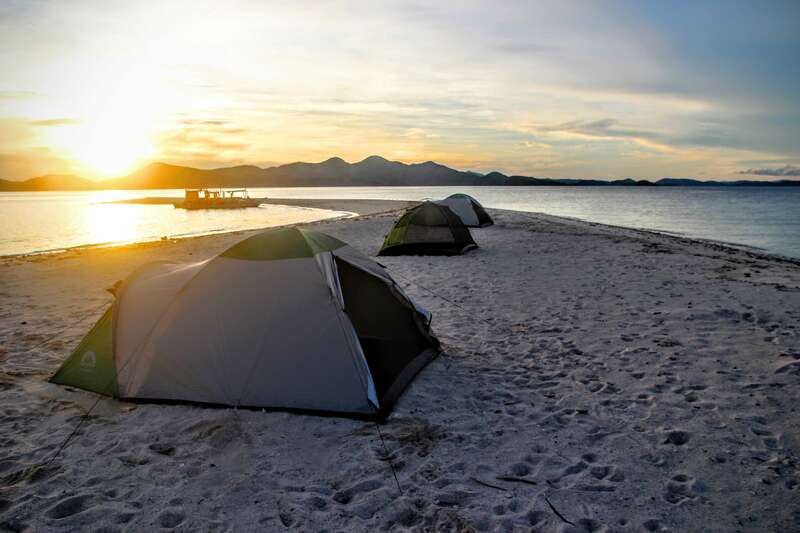 With support banca & crew, budget camping and cruise/kayaking provisioning with kayaks, equipment & guide, including park entrance & camping fees.